OH what a SWEET VIEW from this level, RAINTREE PLANTATION residential building LOT overlooking the SCENIC 10th fairway & pond owned by the RAINTREE GOLF CLUB! 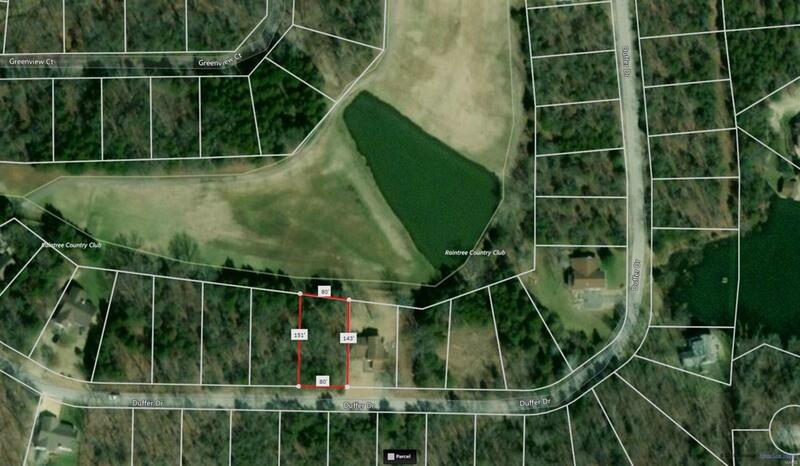 LOT 50 in Section 16 is also just steps from the 53 acre SPRING (fed, no-wake) LAKE. PRICED TO SELL. *Attention Builders, investors, &/or fun seekers, RAINTREE HAS THE MOST AMENITIES FOR THE $$. Build or hold while you play! Large, gated community with superb fishing on all 4 super clean, private lakes!! The largest 126 +/- acre lake accommodates water skiing, has a LONG WHITE-SAND BEACH & CAMP SITES below the dam with ELECTRIC, PAVILION, camping/RV. GOLF CLUB membership can be purchased optionally in this section which also provides use of the CLUB POOL. Social homeowners association, fun activities, even an optional golf cart club! Infrastructure; U-Verse, hydrants, clean water, gravity sewer, paved roads JUST 30 minutes down NEW Hwy 21 from Hwy 270! Be on vacation every day! Come see and you'll want to make Raintree your home! Listing provided courtesy of Tomaco, Inc.. Listing information © 2019 Mid America Regional Information Systems, Inc.